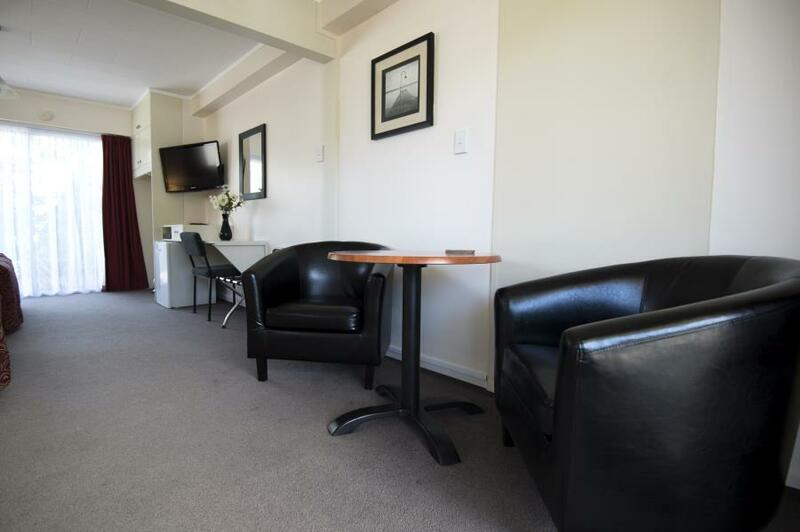 Modern, clean and comfortable accommodation...your kiwi hosts welcoming and friendly...and the location ideal - just a short stroll from Waikanae Village shops, cafes and regular train service to Wellington City. 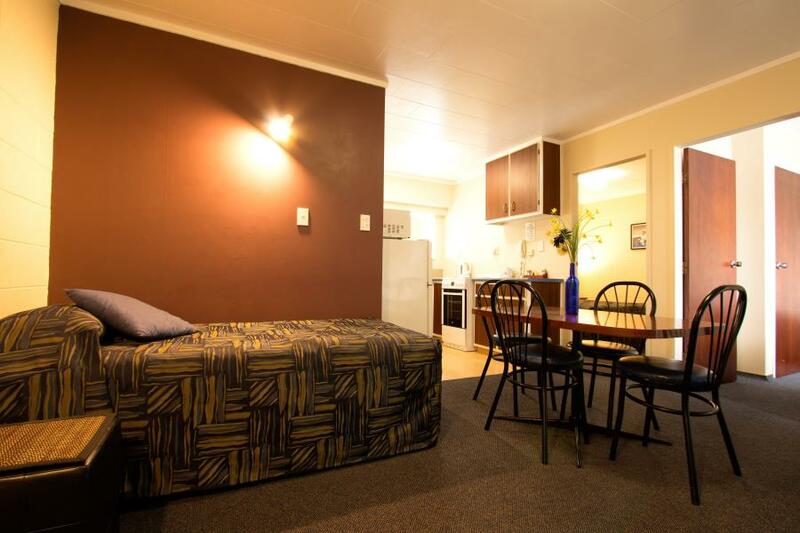 Kapiti Gateway Motel sits in picturesque surroundings and each room enjoys a lovely outlook. Free unlimited WiFi. Free parking. Website (Direct) Rates - Best Available Online! Our most spacious studio with spacious lounge area. Super comfortable executive bed plus comfortable 3 seater/sofa-bed. Kitchenette facilities with microwave. Dining table and chairs. Spacious bathroom with shower over large double bath. Located upstairs with outdoor furniture. Bedding configuration: Queen bed, sofa-bed (bedding can be configured to accommodate three single persons, by prior arrangement). Maximum occupancy: 3 persons.